Any accessories web store is distinctive by design concept including simplicity and purity of images. 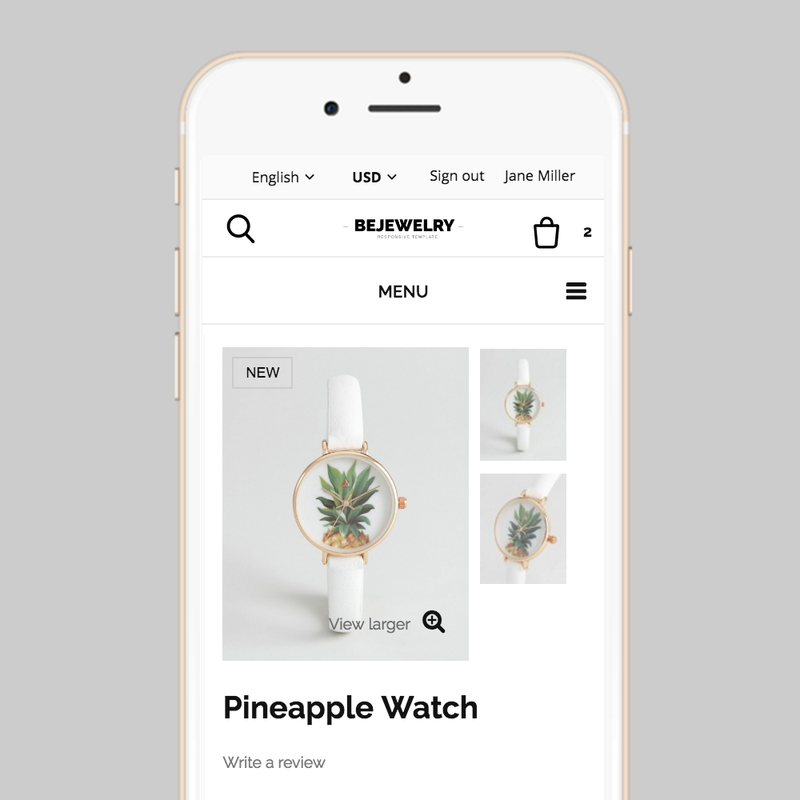 Having applied a new Bejewelry Prestashop Responsive 1.6 theme, your clients will not be able to withstand the temptation to ransack your shop. The world of accessories is full of different items the variety of which gets even a world-weary person impressed. 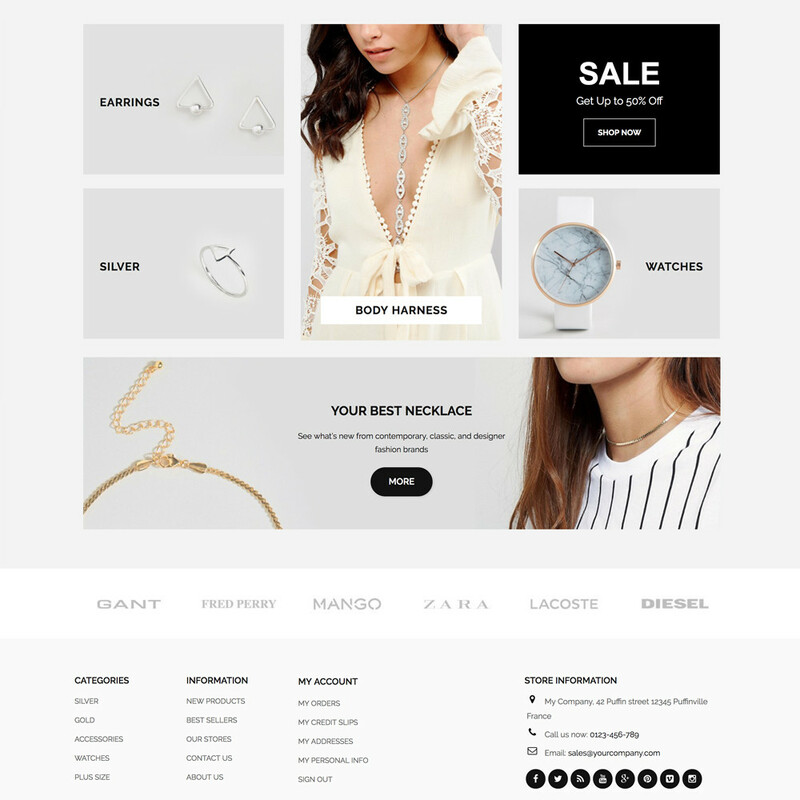 Highly developed web store theme including all up-to-day features helps your business move to a new level on the market by drawing customers. 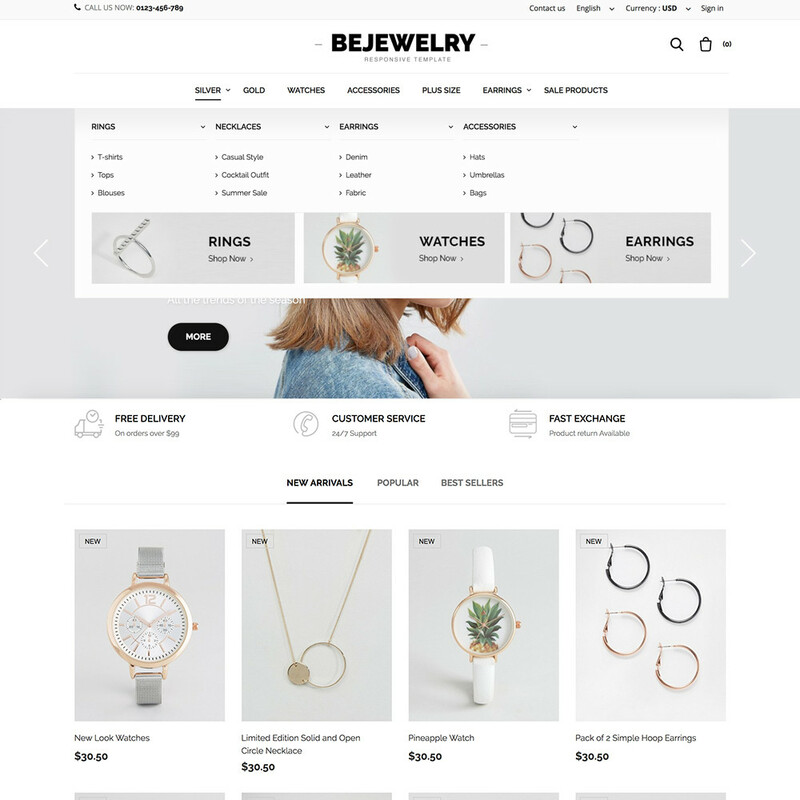 That’s why a new Bejewelry Prestashop 1.6 Responsive theme which is characterized by distinctive features has been developed in order to meet customer expectations. As for the theme appearance, it is centered by a slider that contains large-sized images. The images are used to display the latest cutting-edge trends embodying your web store conception. There’s a menu on the top the page where some key sections are placed. 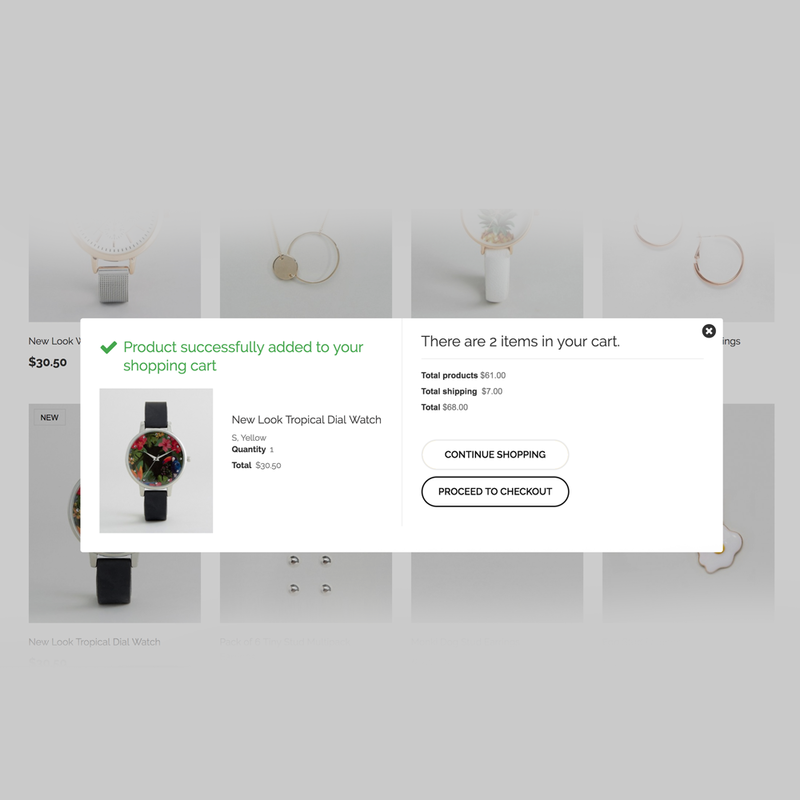 When hovering over, a dropdown menu appears including all items to purchase. The key attribute of the menu is having pictures placed on the menu that promotes better visual perception. Besides, it is supposed to be a gimmick that enhances customer experience. Moreover, there’s a grid of item images put on the main page with prices. All the images are included into three main sections called “new arrivals”, “popular” and “bestsellers”. It is the most convenient way that guarantees customers to find an appropriate item in one click. When clicking on the item image, a new page opens representing all necessary data on the product. 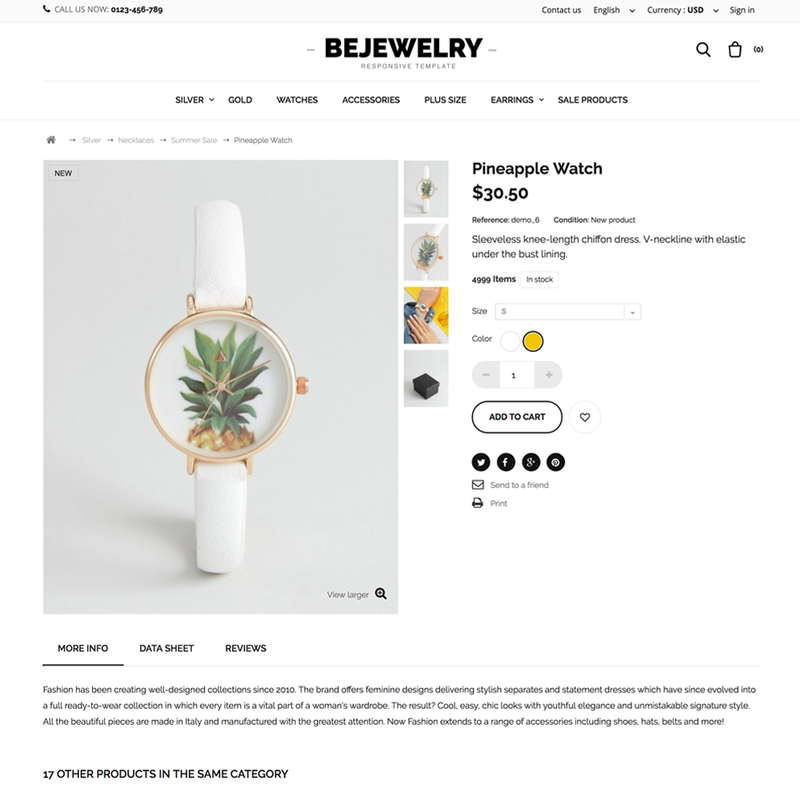 Product page is distinguished by a short item description, measurements including size and color, item availability as well as price. 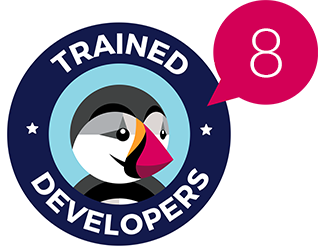 Product images are put in handy order, so when hovering over, smaller images are displayed on the main picture. Besides, it is possible to get images zoomed in for better all-round viewing. That’s why whatever item you put, for example, earrings, necklace or bags, they will be observed from all sides, so for a customer, there’s no longer any doubt whether to purchase an item or not. As for a set of colors, such delicate colors were chosen for a reason, as it captures the essence of a jewelry store and pleasant experience they usually bring. In addition, colors increase your web store recognition by 80 percent and solicit more customers. 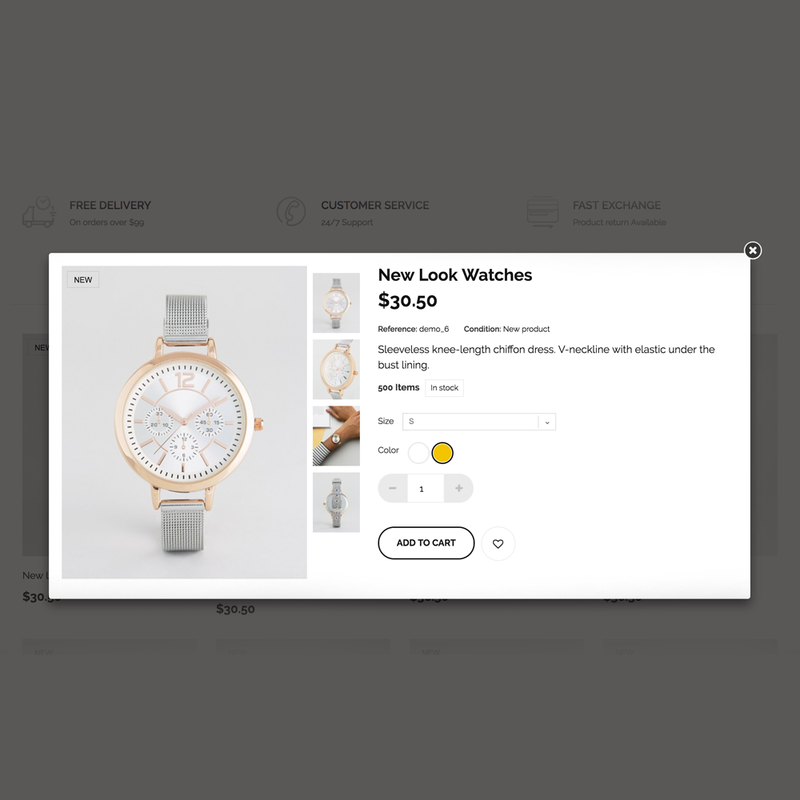 Product page with vertical product thumbnails orientation.